If I die young, bury me in satin. Lay be down on a bed of roses. 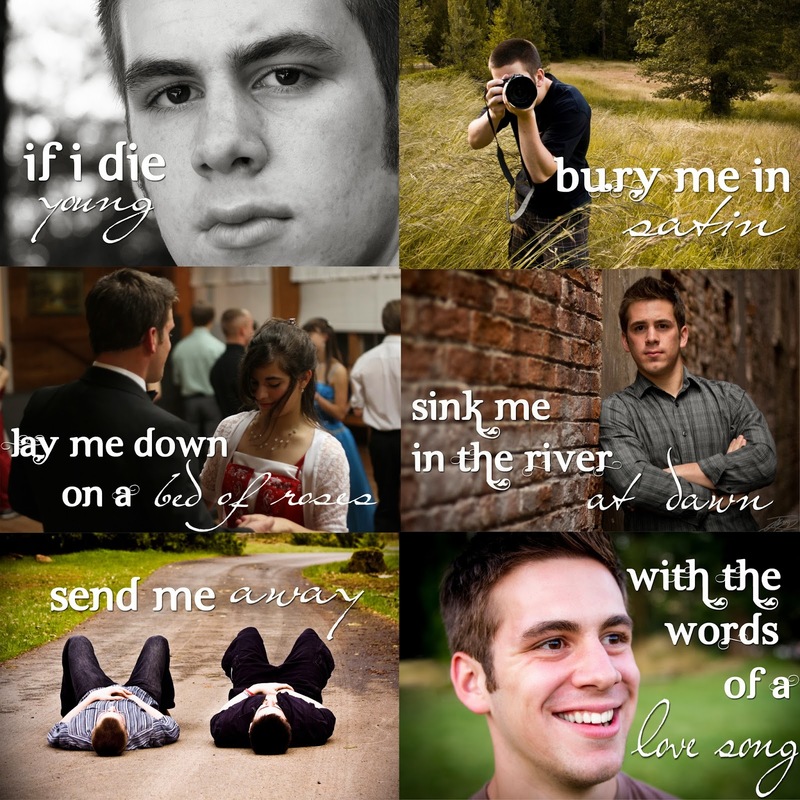 Sink me in the river, at dawn. Send me away with the words of a love song. The sharp knife of a short life. Oh well, I’ve had just enough time. Lord make me a rainbow, I’ll shine down on my mother. She’ll know I’m safe with You when she stands under my colors. Oh, and life ain’t always how we think it oughta be, no. Ain’t even gray, but she buries her baby. Josh used to sing this song. I never really paid attention to it then, but it means so much to me now. I can't help but think that when he would sing this song, Josh had no idea that he would die young. Or that his young death would take place in a river. The sharp knife of a short life. Death is like a knife – a sharp, biting knife that pierces your heart and doesn’t go away. Thank God for His gift of grace, or the pain would have killed me long ago. I miss Josh. Those words seem so simple, but I haven’t yet found any that adequately describe how I feel. I miss his voice, his face, the smell of his Old Spice deodorant. I miss having him confide in me about girls. I miss giving him fashion advice, and asking him to return the favor. I miss listening to him talk about his faith. But the one thing that carries me through is God and His sustaining grace. Because I know that one day, I will see my brother again. And it will be wonderful beyond imagination. Hi Riah, Its comforting to read your thoughts as expressed in words and pictures. While words don't come close to the real thing, you do a fine job at trying, and I think it is a healing thing to do. I didn't know about this song, but can see how it grabs your heart. What you wrote really grabbed mine. I also miss Josh all the time. He was/is such a huge part of my heart. He lives on in so many ways, How he would love this new little brother. We will tell Haven about his amazing brother in Heaven who we will all see again some day. That is my comfort and great joy, and I hope it gives you courage and hope too. Beautiful.. Thank you for sharing a bit of your life with us. I will pray for continued healing and happiness for you and your family..